The Tara Centre opened its doors at The Storey, Lancaster, in September 2016 since which time we have had over 650 people take part in one of our classes, workshops or drop-ins. The Centre has remained open entirely through the support of volunteers, donations and course fees. We strive to be a place that, in the age of competition and austerity, stands for love and the beauty of deep human connection. Every one is welcome into the circle. We believe in the healing power of love, kindness and community. We believe that we are relational beings who need each other to survive and thrive. We believe that true healing can only happen when we feel witnessed, heard and held in a safe space. The aim of all that we do is, in essence, to bring you to a place of true self-acceptance, self-forgiveness and self-compassion, whatever past experiences you may have had. This is probably the hardest challenge for all of us but it is possible and it doesn’t have to take a lifetime. It is from this place of inner peace and compassion that you can begin to let go of the past and feel in control of your life again. We believe that we need to go further than the pursuit of individual happiness, and that promoting kindness and taking positive social action are essential to human health and well being. All our work is informed by the practice of ‘kindfulness’, which brings together mindfulness and loving kindness. The Tara Centre is a not-for-profit healing sanctuary in the heart of Lancaster. We run regular sessions, short courses, workshops and retreats that promote physical, emotional and spiritual health. All of our work is underpinned by the values of friendship, community and kindness. The Tara Project is a Community Interest Company, a not-for-profit social enterprise, founded by Dr Elham Kashefi while she was working as a researcher at Lancaster Medical School. The CIC won an award for the Most Innovative Social Enterprise Idea of the Year at Lancaster University in 2013 and was awarded start-up funding from UnLtd. 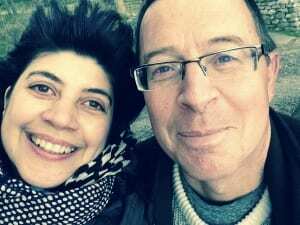 Elham was joined by her friend and colleague Kay Johnson as Director but the project came to a halt following a period of absence due to recovery from a car accident. Robin Eyre joined the CIC as a director early in 2016 and the Tara Centre opened its doors in September 2016 as a joint venture with Elham’s partner, Jitei White. Jitei brings a wealth of experience as a meditation teacher and deep listener, and they work together to hold a space for love and kindness for every one who visits or works from the Centre. This is a video about the Tara Project which was filmed in 2014 when the Tara Centre was located at White Cross, Lancaster. Colleagues have changed, activities have evolved but the vision, values and ethos remain the same. “On our own we are candles, fluttering in the wind. With the shelter of the Tara Centre we become lanterns, able to provide a brighter and steady light. Thank you for providing that shelter and tending our flames”.